Summer may be over, but over at Organic Avenue we are getting ready for fall by diving into all of the seasonal flavors we’ve missed. This smoothie blends Autumnal fruits, vegetables, and spices that will warm you up without weighing you down. Kids will love its sweet flavor and parents will love how easy it is to throw together and sneak some vegetables into their children’s diets. This recipe makes approximately two servings. 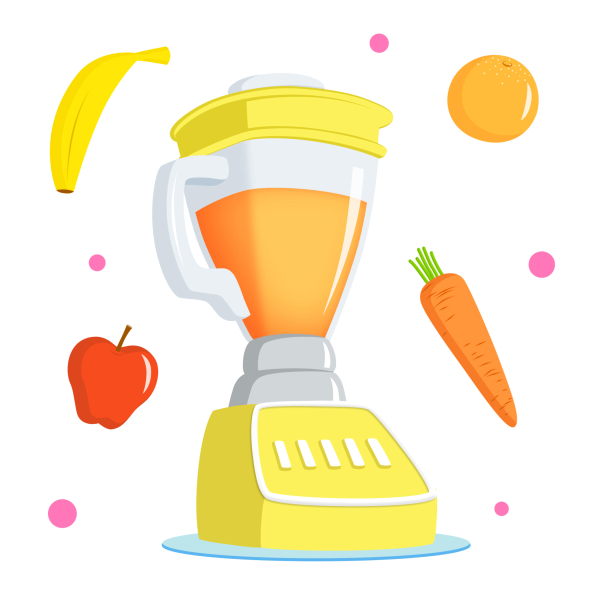 For a more adult (or adventurous kid) version of this smoothie, toss in a knob of ginger or a pinch of cayenne pepper to add a medicinal spicy kick! Carrots are high in antioxidants that help protect your cells from cancer-causing free radical damage while anti-bacterial cinnamon can cure a case of the sniffles. When possible, always choose organic produce, especially apples since they are a member of the “Dirty Dozen” aka the top pesticide laden foods in their conventional forms. At Organic Avenue, we use only organic produce ensuring a healthier and tastier result. No time to make a smoothie? No problem! Our customizable Mix and Match Package is another great option for families who want to taste a variety of healthy flavors! This entry was posted in Lifestyle, Wellness and tagged Asian cuisine, Carrot, Cinnamon, French toast, Health, Pumpkin pie, Vegetable.